Eui-Seok "Fearless" Lee has been transferred to the Shanghai Dragons' academy roster, Team CC, the Overwatch League team announced Thursday. Fearless joined the Shanghai Dragons midway through the inaugural Overwatch League season in an injection of Korean talent meant to find the team its first win. That plan did not pan out, as the Dragons remained winless through the season. Fearless began a leave of absence just ahead of the Season 2 start date to recover from an undisclosed health condition. Friday's announcement marks just over two months since his hiatus began. 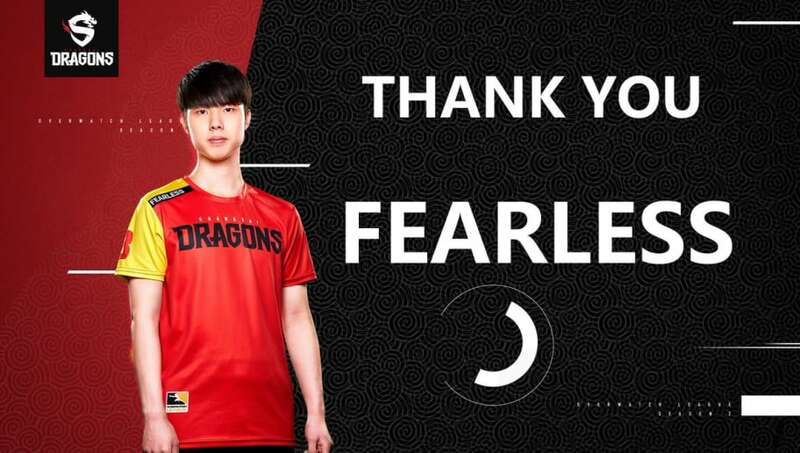 Per the Shanghai Dragons Twitter account, Fearless has now recovered from his condition. He joins Team CC in Contenders China as a way to reacquaint himself with competitive Overwatch, as he was unable to practice during the recovery process. The Shanghai Dragons are 3-6 so far through Season 2 of Overwatch League, tied for 16th place in the standings.